This tutorial will be showing you how to install the Ghost blogging platform on Ubuntu 16.04 server. Ghost is an open-source blogging software coded in Node.js, allowing you to create modern, beautiful blogs. Compared to WordPress, Ghost is lightweight and much faster because it’s built specifically for blogging and isn’t a comprehensive content management system like WordPress. A Markdown-based editor allowing your to quickly write posts. Collaborative editing with your team. A cross-platform desktop app available for Linux, Mac and Windows. 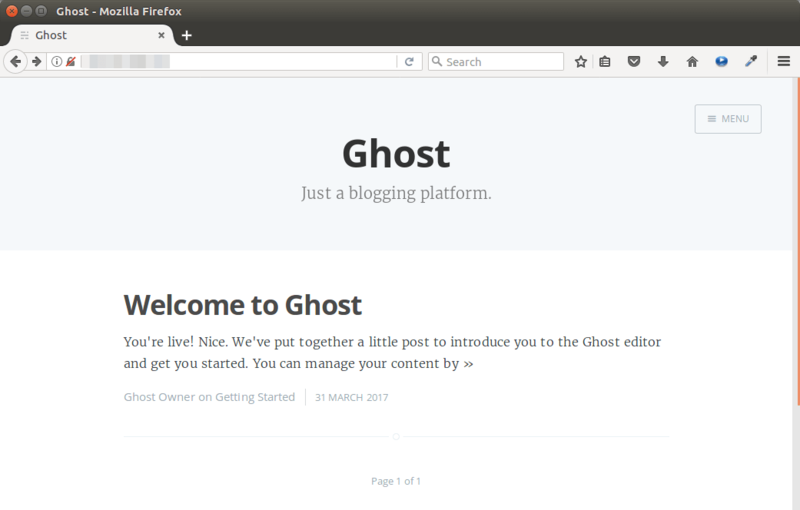 The Ghost foundation offers managed hosting, but here we will see how to create a self-hosted Ghost blog on Ubuntu 16.04. If you server hasn’t been updated for some time, then run the following command to update. Ghost requires you to install the LTS version of Node.js and does not support non-LTS version. You can install the latest LTS version, which is Node.js 6.10.x. Add NodeSource repository using the command below. Download the latest version of Ghost using curl. If your Ubuntu doesn’t have curl, you can use wget instead. Then create a directory (/var/www/ghost/) for Ghost. Install unzip utility and unzip the file into that directory. Now change working directory to /var/www/ghost/ and install Ghost. By default Ghost listens on 127.0.0.1:2368 and the default URL for your Ghost blog is http://my-ghost-blog.com. This is fine for a local install, but if your Ghost blog is installed on a remote system, then you need to change these configurations in order to visit your blog. Ghost uses a config file named config.js. We need to copy the /var/www/ghost/config.example.js file and name it config.js. Change the URL to your domain name or your server’s IP address. Then find the following lines. Change 127.0.0.1 to 0.0.0.0, which makes your Ghost blog available for the whole Internet. Save and close the file. Now enter your domain name (Don’t forget to set A record.) 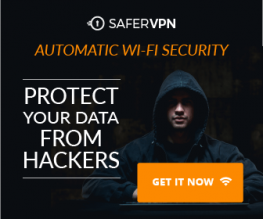 or your server’s IP address in the browser address bar. You will see the home page of your Ghost blog. You can use Nginx as the front end server for Ghost. Since Ghost runs in the foreground, you can establish a separate SSH session to your Ubuntu 16.04 server in order to keep it running and at the same time be able to enter commands. Install Nginx on Ubuntu 16.04. Then create an Nginx server block file for Ghost. Put the following text into the file. Replace your-domain.com with your own domain. The proxy_pass directive will proxy all requests to 127.0.0.1:2368. Save and close the file. Then test Nginx configuration. If the test if successful, reload Nginx. Now you can visit your Ghost blog using a domain name and without having to specify port number. The Ghost admin panel is available at http://your-domain.com/ghost. We can create a Systemd service for Ghost and then enable this service. Create a systemd service file. Note that we’ve specified Ghost should run as www-data user. This way, hackers won’t gain root access should your Ghost blog get hacked. Next, enable this service, which means Ghost will run at startup. Now we can move to the previous SSH session and press CTRL+C to stop the current Ghost. Next, run the following command to start Ghost as a service. To install the latest version of certbot (Let’s Encrypt client), we can use official PPA. If we use the webroot plugin to obtain SSL certificate, we need to allow access to the /var/www/ghost/.well-known/acme-challenge/ directory. Edit the Nginx server block file for Ghost. Add the following lines in the server block. Next run the following command to obtain an SSL certificate using the webroot plugin. Replace red text with your own data. Once the command is finished, you should successfully get a SSL certificate from Let’s Encrypt. Now edit the Ghost server block file to install the certificate. Visit https://your-domain.com in web browser to verify Ghost blog is running correctly in HTTPS mode. That’s it! I hope this tutorial helped you install Ghost on Ubuntu, set up Nginx reverse proxy and install SSL certificate.